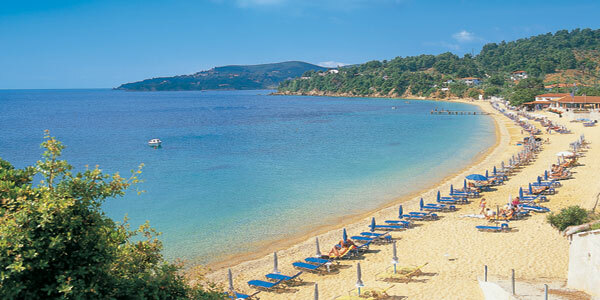 Achladies beach is 2 km away from the city, of Skiathos. You can reach it on foot, by car, by bus or by boat which runs regularly from Skiathos to Achladies. The beach is of great beauty and fully developed. You can find there good tavernas, hotels and a rich variety of sports facilities.